Theremin player Joseph Minicello joings Jesse and Jordan for this week's action-packed show. In this show: Jordan's little sister calls seeking advice, "Mace Detective, Private Detective" episode "Ain't No Sunshine When She's Gone," Running The Numbers, Myths and facts about homosexuals, and "Would You Rather?" Colin Hay is a Los Angeles-based, Scotland-born Australia-bred singer-songwriter. In the 1980s, he was the frontman of the band Men at Work, and headlined festivals before hundreds of thousands of fans. Today, he performs at Los Angeles nightclubs like Largo, and is known for tightly-crafted songs and hilarious stage banter as much as for his former band. This second career has led to numerous Hay songs being placed in film and television, including one on the soundtrack to the film "Garden State." 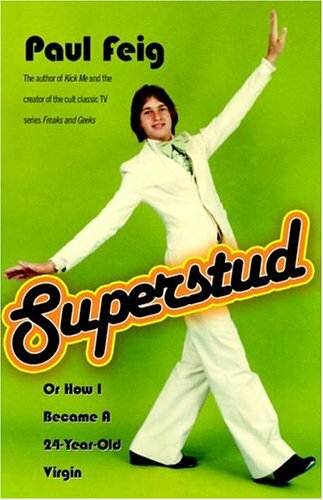 He's also brought an autobiographical stage show to the Edinborough Fringe Festival. His new album is called "Are You Lookin' At Me?" Syd Butler and Tim Harrington are founding members of the rock band Les Savy Fav; Harrington is the singer, Butler the bassist and record label head. The band is known for it's angular, exciting art-punk, as well as for Harrington's on-stage antics. They talk about forming the band with what amounted to a manifesto, and why they consider the band a second career despite their success. Their new album is called "Let's Stay Friends." Necessity is supposedly the mother of invention but what about creativity? Minneapolis duo Beatrix*JAR (she's Beatrix, he's JAR) stand somewhere in between the worlds of technology and the arts. They are circuit benders. What that means is that they take electronic instruments and toys that make sound, open them up and play around until they make new sounds the manufactures never intended. They turn these explorations into music, putting out two records now I Love You Talk Bird and Golden Fuzz. 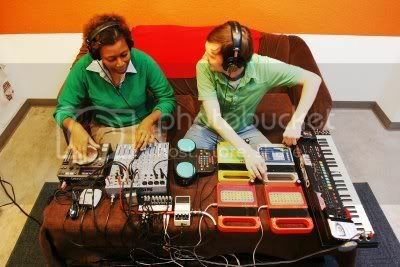 In addition to playing shows the duo also put on workshops so that others can learn the fun of crafting new sounds out of old toys. I talked to the Beatrix*JAR about their particular brand of music. Ian Brill: Some of the songs on I Love You Talk Bird like "Oral Fixation" combine the circuit bending sounds with singing and lyrics. The songs on Golden Fuzz are more like dance songs with these hypnotic beats under them. Why the move in that direction? Beatrix*JAR: Our move into the dance direction stems from our experiences as live performers. We aren’t trained musicians and we found that when we were doing live vocals it was easy to get to get thrown off by different and unfamiliar environments and various sound systems. With Golden Fuzz instead of singing live we sampled our voices in the safety of our studio for a few tracks. I Love You Talk Bird was a mellow experience (in terms of tempo) but we found with the more songs we created our natural progression grew into experimenting more with tempo and rhythm. We also find that the faster beats in live performance engage us more as performers and that energy passes on to the audience. IB: Where did the idea to do not just shows but also workshops come from? B*J: Honestly, it stems from the fact that people didn’t really understand what we were (are) doing sonically. The workshops became this way to inform and inspire people with hands-on circuit bending and also give them the language and experience to understand what circuit bending is – and we hope that with that knowledge they will approach our music and other benders music with open ears and maybe be inspired to make music this way themselves. IB: What are some of the best toys you have found in your quest for new sounds? B*J: The Casio MT-540 is always our favorite, we use it as the demo machine in our workshops and it never fails – the machine is unlimited in its sonic options. IB: I know JAR started doing work like this alone. What is the benefit of being a duo. I imagine it's a lot more fun trying to find the right sound from a 1980's toy with two people than it is with one. B*J: We reinforce one another. We’re the two people always dancing at the show. Maybe it all comes down to chemistry. We have unique and shared musical sensibilities and it just works – there are these unspoken exchanges that make for this fun and playful experience. It’s always so great to look onstage and see the other – nodding – affirming – dancing. Each of us is always encouraging the other - so when one of us hits the wall the other is there to help bust through – even in the most intense moments of frustration we are happy to be there for each other – 80’s toy or life issue. IB: In addition to manipulated toy sounds songs some of the songs on Golden Fuzz have these great speech samples, like the one about a kid creating a DIY robot in "Arthur Golden" (which is related to what you guys do musically); Where are the places you find the sources for those samples? 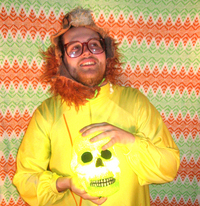 Dan Deacon is an electronic music performer based in Baltimore, Maryland. In fact he's a classically trained composer with a Masters degree in electro-acoustic composition. From 2003 - 2006 he released no less than seven self-produced albums. His latest offering "Spiderman of the Rings" blends his frenzied live performance electro anthems with amusing lyrics and colorful instrumentals. Dan has maintained an almost constant tour schedule but has still found the time to draw on his classical background and compose and perform for ensembles at museums and galleries around the United States.